There are so many questions when it comes to engagements, from how to pick a ring to where to get married. PopSugar surveyed over 1200 married or engaged women to help answer things like when couples get engaged or who picks the ring. Among the insightful statistics was one that everyone loves to talk about: ring size. The poll showed that the most common is between 1 and 1.99 carats, making up 35% of the sample. The second-most popular size, between 0.5 and .99, made up 26%, and in the third came 11% of those that go big, as in over-2-carats big. From the looks of it, not many ring-wearing women have stones smaller than 0.5 carats, which is pretty modest if you ask us. Keep scrolling to shop rings inspired by the most common sizes. A ring around 1.5 carats is perfect if you're looking for a diamond in the most popular size range, 1 and 1.99. 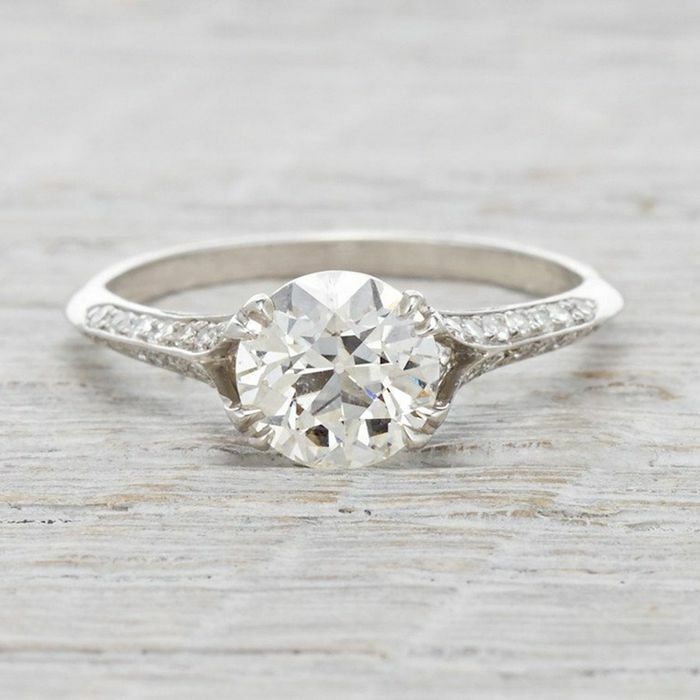 A classic solitaire sparkler is a way to go if you're looking to put the size of your ring front and center. Get creative by looking for a ring that incorporates diamonds in addition to other stones for a unique ring. What ring size do you think is ideal? Tell us in the comments.